Below are ten science blogs. They are a nice mix of different sciences, which some of them featuring a mix themselves. They are for different age groups, but all are useful for students. Descriptions of each blog are featured to give you an idea of what to expect. This is a blog that answers some great questions that you may have as a scientist or lay person. It is very good for both research and for casual reading if you want something different to read. This is a blog that features peer-reviewed developments in cognition, and it comes from very respected scientists in the field. There is a lot of science and psychology in the blog that you may be interested in. There is stuff on this blog that helps deny global warming, but if you are smart then you will know that it is just a republican party broadcast speaking. What it does do however, is point out that all weather extremes are not caused by global warming, which is true. There is a feeling these days that any bad weather is the fault of global warming. This blog tries to show that maybe all bad weather shouldn’t be blamed on global warming. This has plenty of science behind it, and not all of it is medical science. It is the highly respected charity that researches into cancer. It is very good for finding out about the latest research and development, which is going to look better on your essays. It always looks better if you are using the most up-to-date information in your essays. This is not a bad website for studying science, but there are some posts that are very wrong. The blog is run by an ultra conservative person, so ideas like Global warming and Evolution are out. But, there are some debunking posts that are rather fun to read, just be wary of believing every post you read. A lot of the content is born straight from the New Scientist magazine. This means that younger students are not going to love it as much, but does make it good for older students. This is handy introductory level stuff that is good for younger students or for students that need a refresher before starting a new project or lesson at school or college. It is good because it is very down to earth, which some may find a little childish. This is a blog that is a little basic, but it does as the name suggests. It has articles showing how the science of something works. It is a nice bit of fun for students of all ages. There is a lot of bad science in the world as people try to sculpt it to their own ends. The best example was when drug companies paid a small company to fake a report saying that childhood vaccinations cause autism. Drug companies have made millions since this fake report was published because now they are treating hundreds and thousands of children with deadly diseases they could have avoided if they had been vaccinated. This blog tries to expose other times when science has been perverted and then used for nefarious reasons instead of for exposing the truth. This is a blog that has been written by teachers. It has a bunch of short articles that students can read to learn more about science. It covers a lot of scientific fields, but is mostly for younger students. 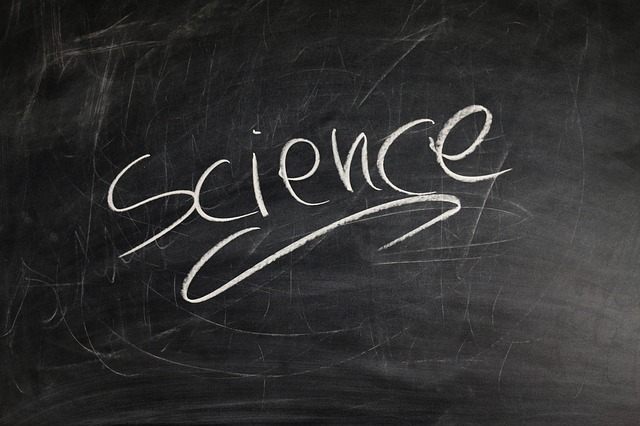 There is a rather wide diversity when it comes to blogs about science. The list above is rather varied, and caters for all ages. If a blog is not suited for your scientific needs, then consider it for a bit of casual reading, as many of them have interesting articles that you may enjoy reading.